Attending tax lien sales seems like a great way to get bargain property – and in rare cases it can be. Tax liens certainly offer a decent return on your money. In many cases, you’ll earn up to 25% APR or more. On the surface, it seems like a win-win situation. You either get a bargain property, or at worst, get a great return on your money. Make sure the actual return you stand to make will be worth your effort. Over 95% of tax liens redeem before the underlying property can be acquired. Therefore, you must be satisfied with only the interest you stand to make from your investment. And there is a substantial effort required to investigate all the properties on the tax lien list. If you’re investing only a small amount of money, like $10,000, you will only earn perhaps $1,000 on your investment if all liens pay off. You may have to invest at least $1,000 worth of your own time investigating properties before the tax lien sale, bringing your real return down to zero. Don’t forget about legal costs associated with acquiring properties. You may need to spend several thousand dollars with an attorney providing notice to the owner and perfecting your deed to the property. In many cases these costs can be more than you spent on the lien itself! At many tax lien sales, properties with city code violations will be offered. It’s important to check all properties on which you may buy a lien, at the city building inspector before purchasing the lien. The property could be demolished by the time you acquire it, and/or you may have to immediately deal with the city upon acquiring the property. You’ll want to avoid this or bid accordingly. Plan to potentially wait much longer than just the redemption period to get your deeds to properties from tax lien sales. It can take several months to a year to get a court date to request your deed and wait for the county to issue the deed. Then you will almost always have to perform a quiet title action to get martketable title to your property. Factor this in when bidding! Don’t forget about other bidders attending the sale. In a few states, the price of the lien is bid up until a winner emerges. In these cases, make sure to set a maximum price you’re willing to pay. In other states, the interest on the lien is bid down – on good properties the interest rate is often bid to zero. Still other states have a random system for choosing who gets to buy a particular tax lien if several bidders are interested. No matter what the system, establish what you’re willing to pay for a particular lien, and stick to it. You may not be able to buy the exact liens you want and may need to have some alternates picked. After being a tax sale investor for over 10 years, I can tell you with certainty that tax lien sales are not for beginners or those with only a small amount of funds to invest. They are dominated by experts who have hundreds of thousands, or even millions of dollars to invest, and who are able to make a significant return from interest because of the large amount of money they have access to. Property acquisition is a very small part of the allure to investing at tax lien sales. Most new investors investigate tax lien sales as a way to pick up property for a tiny fraction of its value. They are soon disappointed to find out that all of their liens redeem and they are left with a small amount of interest. However, tax lien sales create a way for us to acquire cheap properties without even participating in the sales – we can simply let the other tax lien buyers fight over the liens, and then close to the redemption period ending, we will look up which liens remain unpaid. Then, we’ll contact the owners of those properties directly and get the property under contract! Most properties in this situation are free and clear, and are unwanted by the owners. Some will sell for as little as $50 just to get the property out of their name. Now, we don’t have to worry about investing our own money, legal costs, or code violations (we’ll just pass if we find any, or deal with them). We don’t have to wait for a redemption period to end, since we’re looking up past tax liens that were already sold. We don’t have to compete with other bidders, or do a quiet title action on the property. Much better. 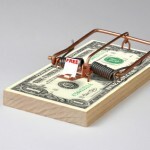 Get my guide to working tax lien sales a smarter way (below) – “Underground Tax Sale Secrets”.